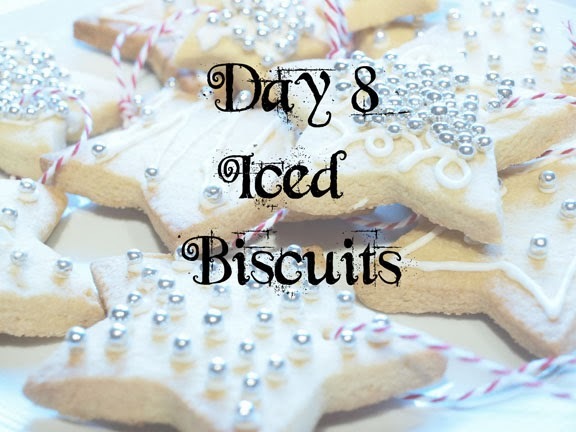 Day 8 of Twelve Days of Christmas is a delicious shortbread biscuit…. The recipes can be found here and here. Preheat your oven to 180C/ gas 4/fan 160C and grease 2 baking sheets. Add the flour into a food processor. Then add the butter into small pieces, and whizz until the mixture looks like breadcrumbs. Next, add the sugar, vanilla and egg yolks, and whizz again until the mixture comes together into a dough. Roll out the dough so it is about ½cm thick. 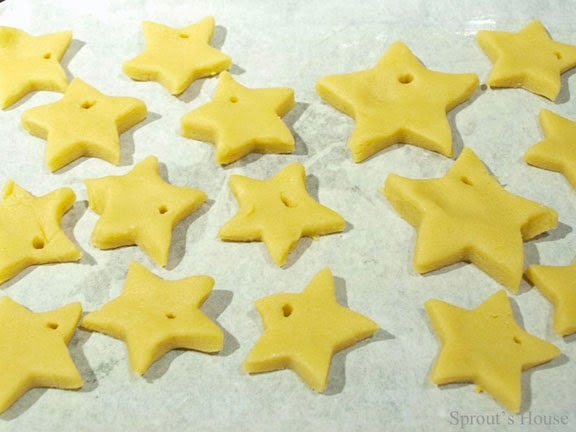 Cut out star biscuits and repeat the process with any extra dough you have left over. Use a skewer to make a small hole about 1cm from a point on each star. 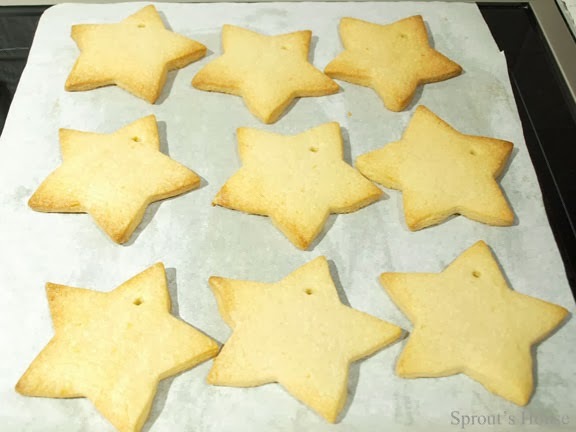 Make the hole slightly bigger than you need as it will close up a little as the stars bake. Put the egg white and lemon juice in a bowl. Then beat in the icing sugar to make a smooth icing – add more egg white if needed. 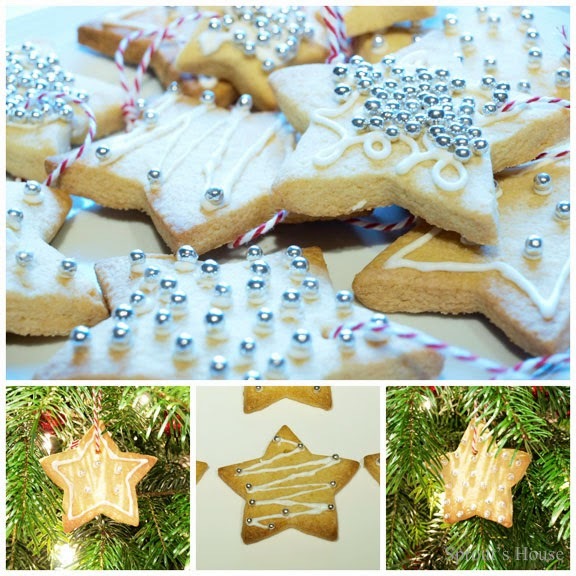 Add the icing to a piping bag and decorate as desired. Stick silver balls on before the icing dries and leave to set. Thread ribbon through each of the holes and hang on your tree. Or eat within 24 hours! 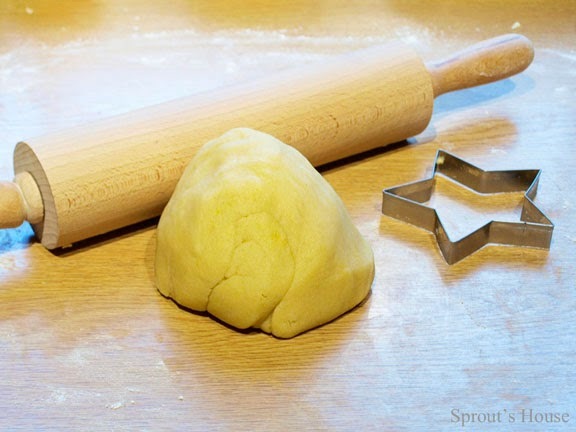 A perfect recipe for making with little Sprouts - YUM!